South Africa scrapped to an 18-10 win over Australia in the Rugby Championship on Saturday to relieve a little of the pressure on beleaguered coach Allister Coetzee. All of South Africa's points came from the boot of recalled veteran fly-half Morne Steyn who dropped two goals and kicked four penalties in a messy game which Australia dominated on the territory and possession statistics. 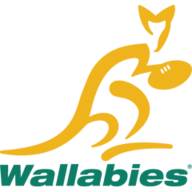 Australia rumbled over for the only try through prop Scott Sio in the 14th minute but didn't score at all after the conversion of Sio's try despite having the ball in the Springboks' half for most of the game, and nearly all of the second half. Victory for the Springboks, who led 12-10 at half-time, snapped a three-match losing streak in a competition already won by New Zealand and means that South Africa moved into second on the standings with one round remaining. Australia have lost all seven Tests at Loftus Versfeld Stadium and the latest defeat will be particularly bitter given the amount of second-half possession they enjoyed. A near-50,000 crowd at one of the Springbok strongholds witnessed a rare occurrence after only four minutes as Steyn slotted a drop goal to open the scoring. It was the first drop goal of the Rugby Championship this season after 644 minutes of tries, conversions and penalties. Australia were soon on the front foot in perfect southern hemisphere spring conditions and levelled on eight minutes when centre Bernard Foley kicked a close-range penalty. After a further six minutes of largely Wallabies pressure, the visitors scored the only try of the opening half through prop Scott Sio to build a 10-3 advantage. It was a special moment for the 23-cap loosehead front row forward as he scored his first Test try, which stemmed from South Africa winger Bryan Habana failing to find touch with a clearance kick. Australia patiently went through the phases before Sio dived over under the posts after taking a pass from fellow prop Sekope Kepu. Foley converted and soon after Wallaby winger Reece Hodge saw his ambitious 65-metre penalty attempt fall just short. Steyn narrowed the gap to four points with his first penalty of the match, the kick going over off a post to the relief of the veteran playmaker. A turnover virtually on their try-line got the Springboks out of jail before the first half swung in favour of the hosts when Wallabies full-back Israel Folau was sin-binned on 34 minutes. Folau blocked 2007 World Rugby Player of the Year Habana as he pursued his own kick ahead and English referee Wayne Barnes did not hesitate to raise the yellow card. Steyn kicked the resultant penalty, and another one a minute into additional first-half time to leave South Africa 12-10 ahead at half-time. Hodge, who replaced Foley for long-range shots at goal, missed two kickable penalty attempts in the opening 12 minutes of the second half as the visitors pressed. 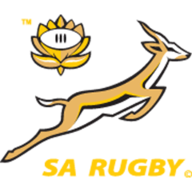 South Africa chose only two backs among eight replacements and when scrum-half Rudy Paige was concussed just before the hour mark, he had to be replaced by loose forward Willem Alberts. Winger Francois Hougaard took over from Paige and Alberts came into the back row with another loose forward, Jaco Kriel, becoming an emergency winger. Steyn was well wide with his fourth penalty attempt as the South Africans took a rare breather from relentless Australian pressure. But the fly-half made two telling late contributions, kicking a penalty and a drop goal. Get a NOW TV Week Pass for £10.99. No contract.